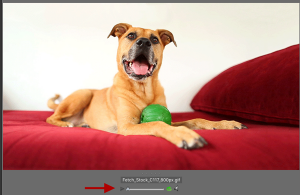 At Fetch Stock we are excited to be one of the only providers of stock dog and cat cinemagraphs on the web. In an era where you have as little as 2.8 seconds to grab your customer’s attention, what magic tricks do you have up your marketing sleeve? Although cinemagraphs aren’t new (they’ve been around since 2011), they are still a new advertising medium, with many brands reluctant or afraid to use them due to their newness. (Hint- real leaders are never afraid to be first). Bold is the brand that decides to experiment with cinemagraphs, and great are the rewards for their bravery. Dell saw a 110% increase in their CTR rate from one single campaign. Coca-Cola saw a single cinemagraph re-blogged 80,000 times on Tumblr (not it’s main advertising channel). 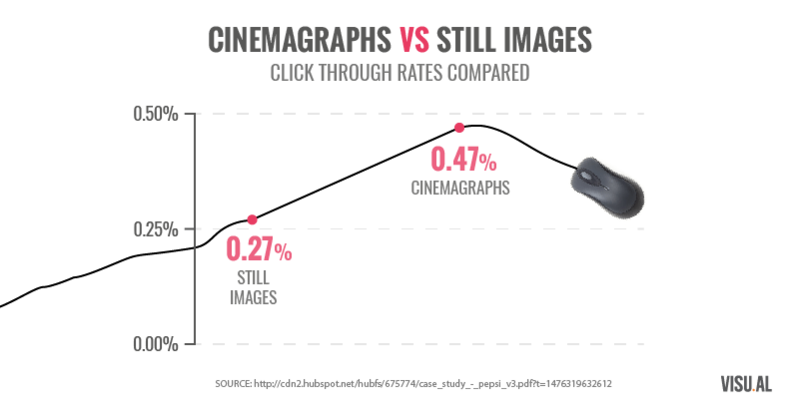 Can you think of a reason not to use cinemagraphs when you look at statistics like this? Reward yourself for your bravery. Good animal cinemagraphs that show interesting movement of the pet can be very hard to design due to them being suboptimal subjects (e.g. 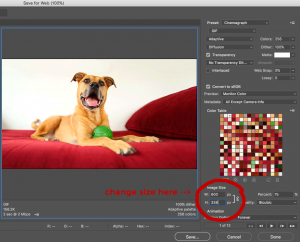 they don’t hold still), but we have learned the tricks to filming, designing and saving dog and cat cinemagraphs that are are not only compelling, but high-quality as well. We don’t use skimp on quality by creating cinemagraphs using an iPhone for video capture and a short-cut software for design that degrades the files. Instead we use Canon and Nikon pro camera bodies and lenses for 4k video capture, and Photoshop to design from start to finish, retaining tight control over the quality of the finished product. We also use our many years of experience working with consumers to get in their heads and create visuals that we know will tug at their heartstrings and go straight to their emotions. This creates a powerful result- one where our creativity combines with technology to create a product that is not only highly effective- but consumers love. Cinemagraphs have a very high CTR, because they engage curiosity and wonder, two critical factors when it comes to a potential buyer ‘wanting more’. 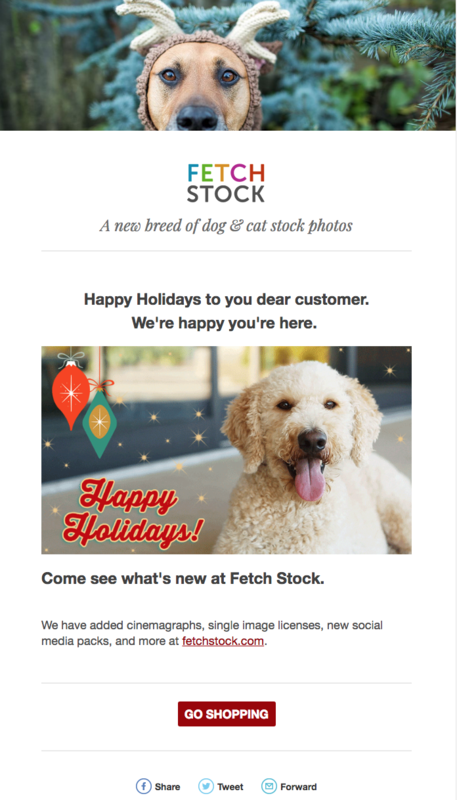 This is an example from a holiday email, in which we overlaid the blinking Goldendoodle cinemagraph with holiday elements to create a very unique and captivating email CTA. Cinemagraphs stand out among a sea of still images and video, and grab the little bit of attention your social media fans give you. Facebook, Instagram, Twitter, Google+, Tumblr, and Vine autoplay cinemagraph files. Facebook and Instagram support looping files, which means that the cinemagraphs we provide you (saved to loop forever), won’t ever stop playing for as long as your audience views them. The video below shows the cinemagraph autoplaying, and if you were actually looking at it on Facebook it would loop forever. Or at least as long as you decided to stare at Fergie’s adorable smiling face and wagging tail. Cinemagraphs are priced at $499 for the 800×450 72dpi GIF files. This is a royalty-free license, which means you can use the cinemagraph for anything that the size permits, which generally is email newsletters, website use and social media use. Although we have had clients use our cinemagraphs for things like website header backgrounds (main photo areas on websites that are overlaid with text + an opaque layer), cinemagraphs are most powerful when used for a limited time, such as on social media or in a Google AdSense ad for example. We also provide video files and full 1920×1080 gif files for a higher price, which are ideal to use for things like OOH digital displays, trade show displays, commercials, etc. We can also create custom cinemagraphs for you, which include everything you need from concept to finish, including: concepts/storyboards, location and talent procurement, filming, design, file creation (gif and/or video), and delivery in multiple file formats. usage fees, where we take into account the company size/prominence of the end user, the duration of the cinemagraph display, the geographical area of display, the size of the display, and most importantly- the benefit to the client. We also price based on days of use, as opposed to months or years of use, for the reasons mentioned above- most cinemagraphs are used for a short period of time. If you need a custom cinemagraph, please get in touch with us at team@fetchstock.com with your project specs and we’ll send you an estimate. Cinemagraphs are special, and like many special things, they can be finicky. Be good to them and they’ll be good to you. Very good. Cinemagraphs can only be used online or in emails. The motion can’t be printed, and won’t display on a computer screen in most programs. Cinemagraphs must be uploaded to a web server to test and view motion. You can use any FTP program to upload the file to your server. 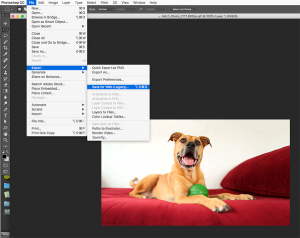 To test from your computer, open the file in Photoshop, and go to File–> Export –> Save for Web, and click the ‘Preview’ box in the lower left corner of the window to open in a browser window. They can be played using Photoshop Bridge, by clicking the little play button under the photo preview on the right panel, although the speed isn’t always an accurate representation of how the cinemagraph will look in email or on web. Therefore we recommend uploading to a server to test. If you need to make the file smaller (like 600px wide to send in a MailChimp newsletter for example), this is the process. Use the following settings to save, and if you need to make the cinemagraph smaller, type the new width in the Image Size box near the bottom of the window. If you are unsure how to resize and save, or don’t have Photoshop, please email us at team@fetchstock.com and let us know the width you need, and we’ll resize your cinemagraph for you. Dramatically reduced advertising costs and epic click-through rates await.